Last week a friend sent me an article: A Happiness Experiment: Can You Make Every Day Feel Like Saturday? 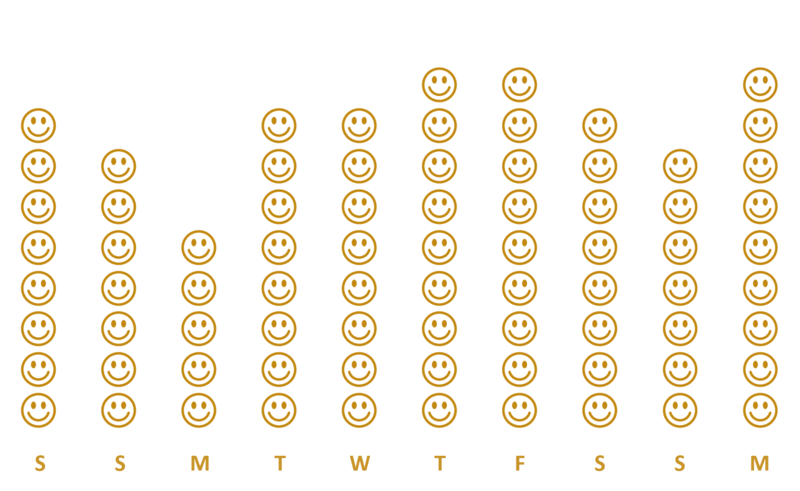 With great excitement I read that apparently we are most happy on a Saturday at 7.26pm and obviously I wanted to put this to the test – so I did my own Happiness Experiment. I paid more attention to what I ate and drank. When I was out, for example on a Friday night with friends, I didn’t count my drinks, but did pay attention to what I was eating. 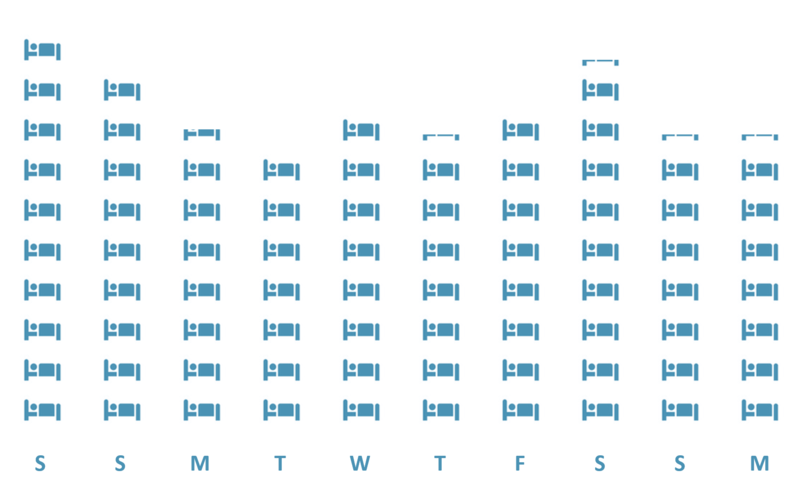 I sleep way more than I thought I did at weekends, peaking at a whopping 9.5-10 hours, but less than I thought during the week, averaging of 7.5 hours per night. I exercise for an average of 1 whole hour a day – not including my lunchtime walks at work. Plus I am not much more happy at the weekend than I am during the week! The conclusion I drew from this experiment is that whilst sleep and exercise don’t have a huge affect on my happiness (although I don’t really think 10 days is long enough to show a true result, plus it was a good week for exercising), my job, a great group of friends and a wonderful family, do! I found the experiment really interesting and whilst we can all make small changes, life really is pretty good! 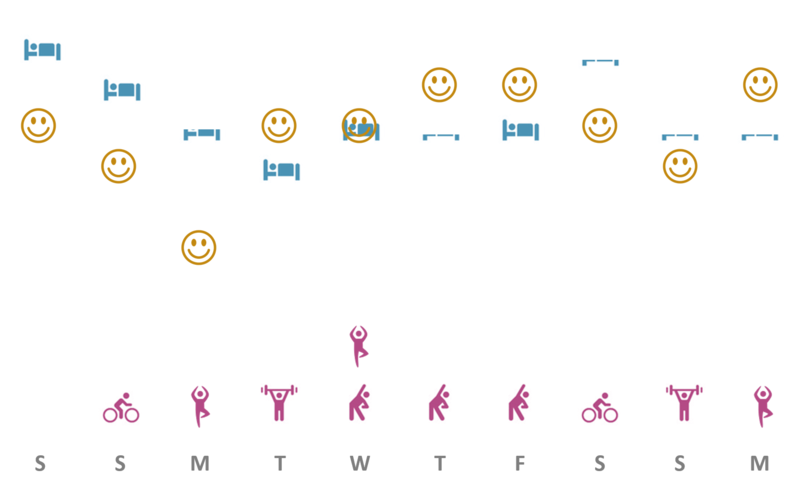 Categories: 40b440, Happiness | Tags: exercise, happiness experiment, lifehacker | Permalink. We had an awesome night with friends last night, getting home at ridiculous-o’clock and being allowed a lie-in by the most wonderful child, until gone 10am! Suffice it to say, I’m having a lazy day in bed with the fam watching TV and eating pizza, catching up on the Twitter-verse and not surprisingly, everyone is writing about the New Year and resolutions. This year I have decided not to have any resolutions; I’m STILL working on the 40 list, and feel that’s enough, plus I think that resolutions don’t stick: last year’s give up smoking, drinking and dieting didn’t work, so I’m trying a different tack! This year I’m going to be happy, healthy and look after my nearest and dearest the best I can. That’s it! Categories: Happiness, Mindfulness | Tags: Happiness, happy, happy new year, healthy, new year's resoutions | Permalink.